This is the original, treasured translation of Fr Faber as he published it - no deletions, additions or re-arrangements, faithful to the manuscript as he received it. 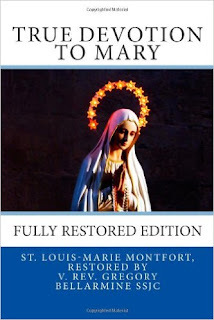 Catholics who have held this edition have been amazed to discover how much the Saint quotes the Scripture first in Latin, then in the local language. The path to Christ through His Mother has never been so ancient, honest and Biblical, exactly as St. Montfort intended it to be.